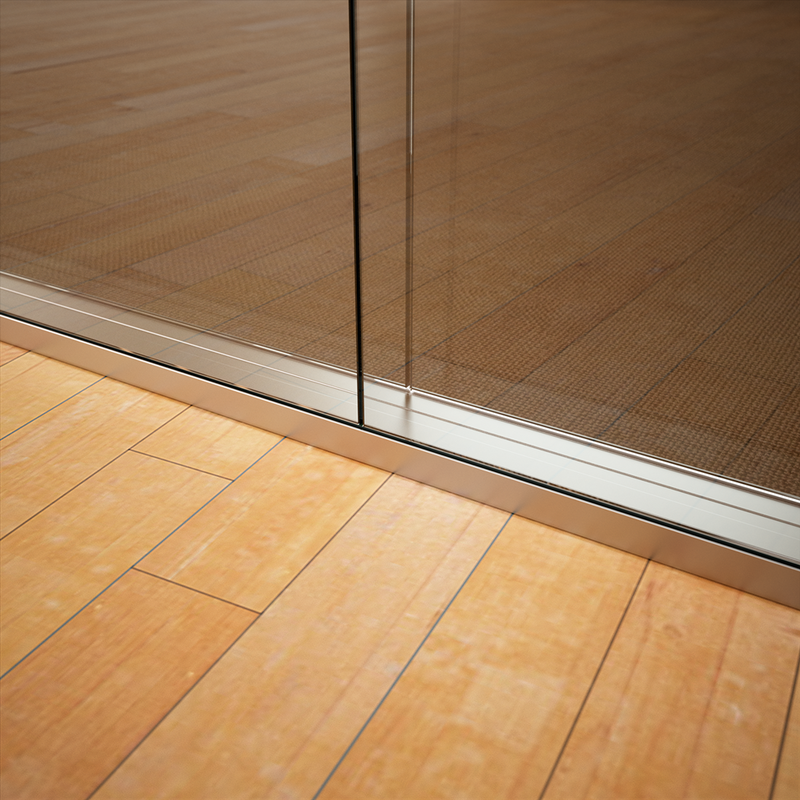 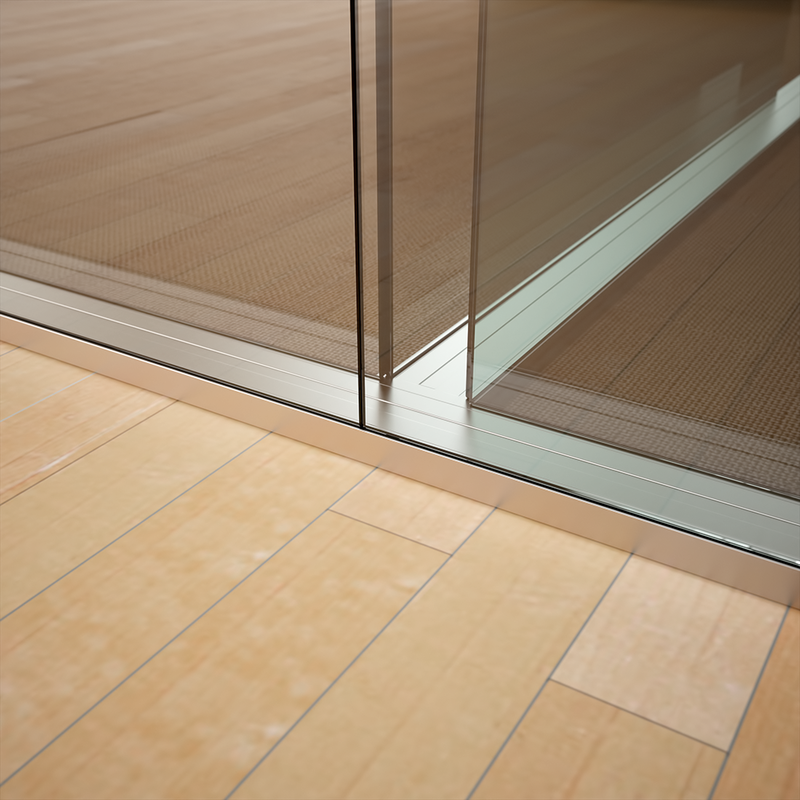 Glass Acoustic was developed taking in mind the ambiguity that some projects require, on one hand the aesthetic part, and on the other the acoustic part. 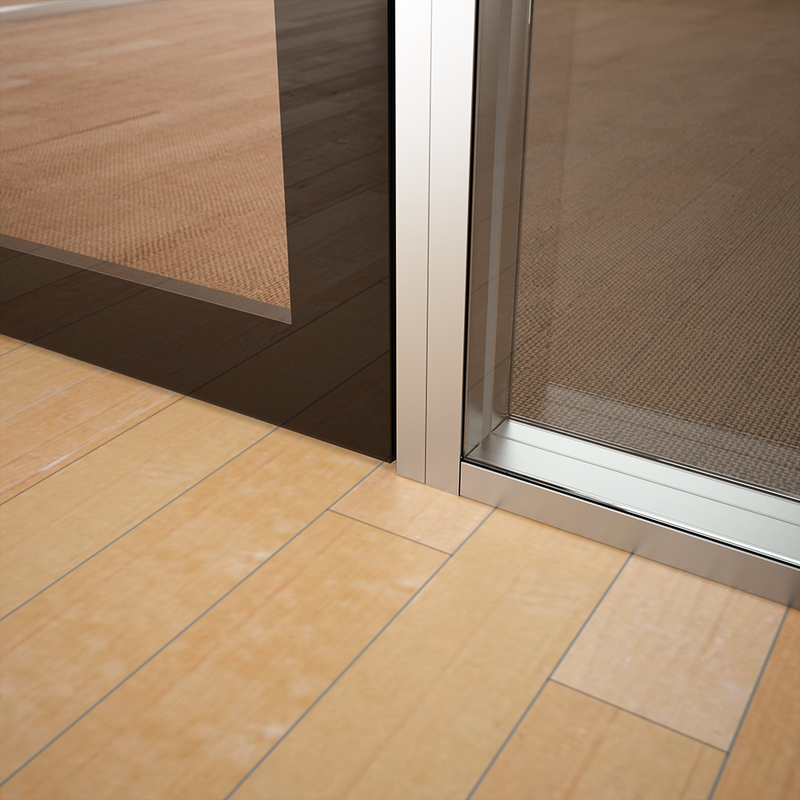 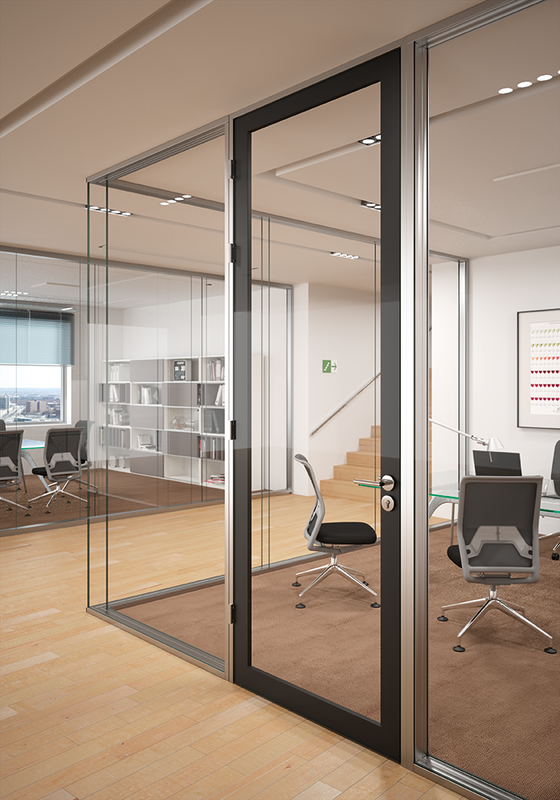 Glass Acoustic is a solution that tackles this double necessity, given that it´s build with two glasses and it can still incorporate a sliding door (through a totally hidden sliding system), enabling an attractive design and an acoustic performance of 43 dB Rw (for the two glasses´ solution). 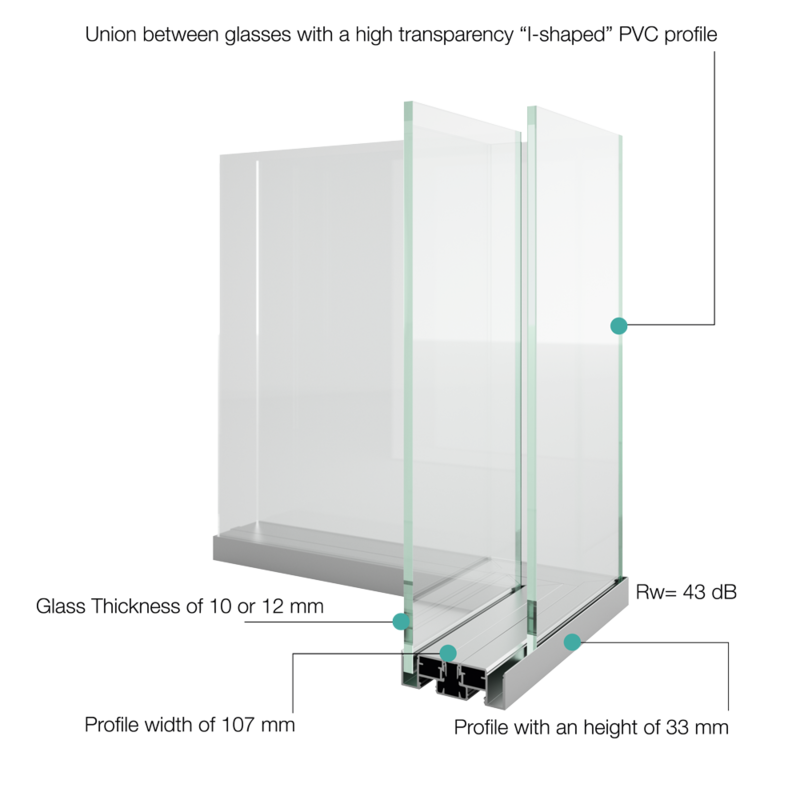 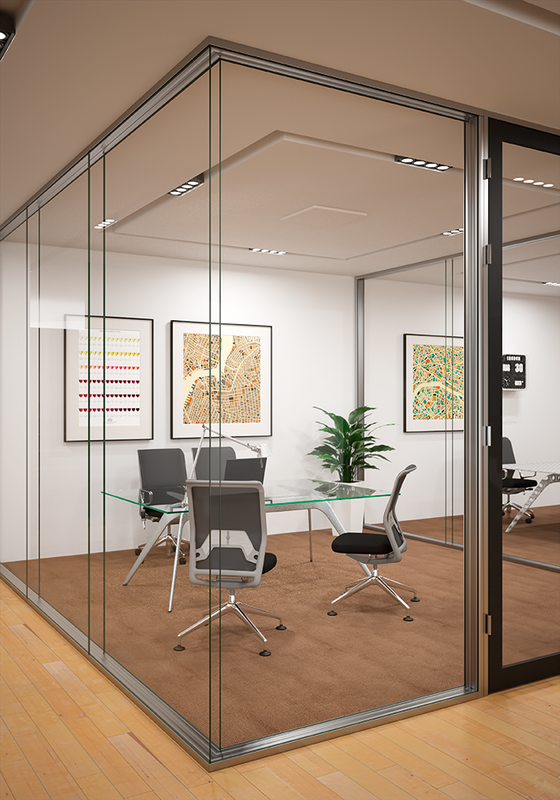 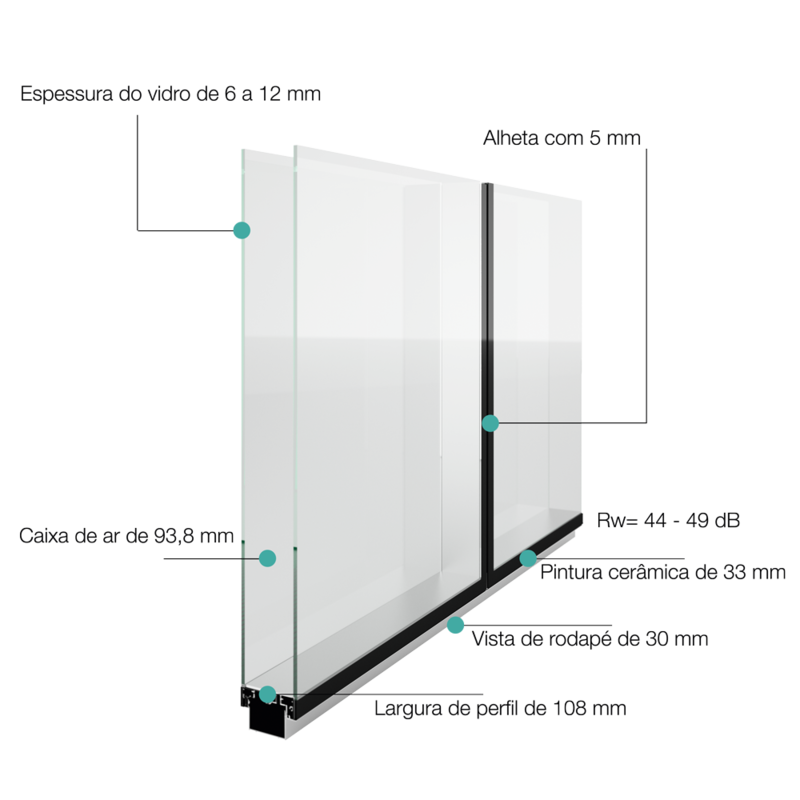 Our Glass Acoustic Partitions were also developed in a way that allows our clients to choose a solution with only one glass (centered or in one of the sides of the profile), or even three glasses.